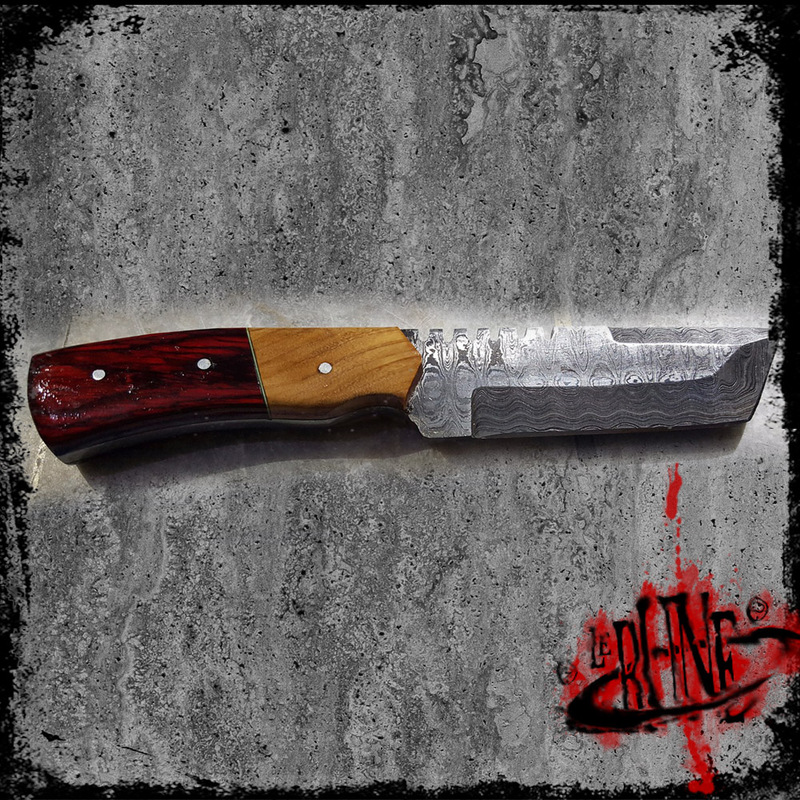 This damascus steel knife is a great companion, whether cooking in your camp or on the road, when you need a fast cutting. The damascus steel blade is clearly visible and completly sunk into the handle (Hardwood or ivory). The acid bath allows the single layers of steel to come out wunderful and shine. The knife comes together with an elegant hard leather sheath, decorated and witrh a belt loop. Attention: This article is sold to persons older than 18 years.